What makes buying a brand new, high quality townhome in Seagrove Beach even better? Receiving a $10,000 incentive towards your closing costs! This buyer incentive is now available for all remaining homes at 30A Townhomes that close before the end of the year with a full price offer. 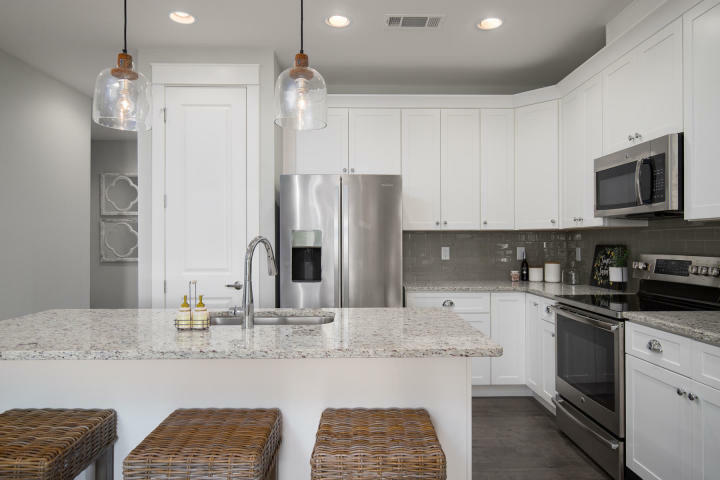 30A Townhomes has quickly become the community of choice for area homeowners seeking a new home with a convenient location to beaches, dining and activities. 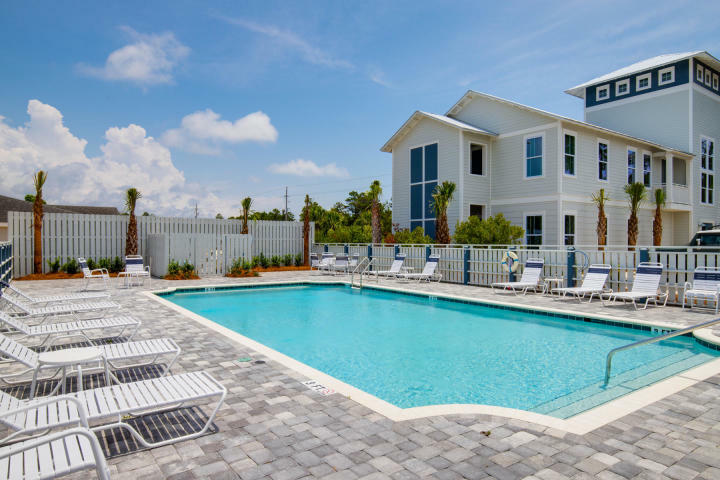 Located directly on Scenic Highway 30A in the heart of popular Seagrove Beach, this unique sanctuary features 26 high-end townhomes built with quality construction, upscale finishes and a beautifully designed community swimming pool. Available townhomes all offer the spacious three-level Heron Plan with nearly 2,400 square feet, four bedrooms and three and one-half bathrooms. The first story includes a beautiful foyer and a master suite with a private patio. A spacious open-concept living and dining area leading to a large 19’x10′ covered porch, a fully equipped kitchen with an island and an additional master suite are located on the second story. Two guest rooms with a shared bathroom and a generous multi-purpose room complete the third story. 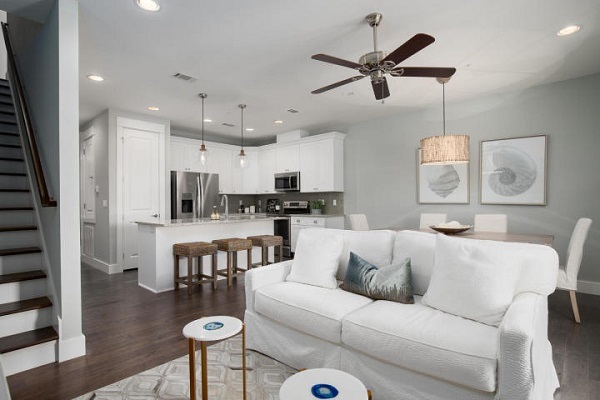 Upscale included features are found throughout such as designer lighting, crown molding, hardwood floors, granite countertops, shaker wood cabinetry, 8′ interior doors and much more. All Heron Plans are interior units with partially fenced back yards and paver patios. 30A Townhomes offers energy-conscious construction with firewalls installed between each unit for safety and soundproofing. The model home is among available homes and offered fully furnished with designer furnishings to make your transition to 30A living even more seamless. Contact 850-217-2842 for more details or CLICK HERE to email. 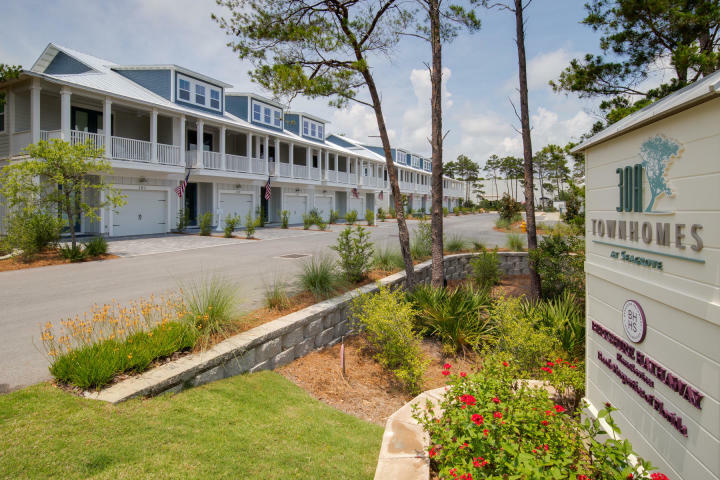 Hi Steve – We’d love to send you more information on 30A Townhomes. You can connect with our sales specialists at 30atownhomes@bpfla.com or 850.744.0010.